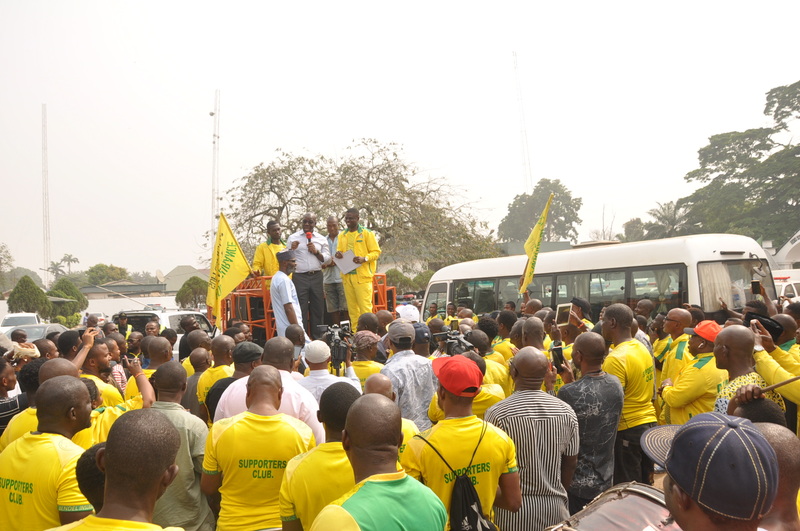 Fans of Bendel Insurance Football Club have hailed Edo State Governor, Mr. Godwin Obaseki and his deputy, Rt. Hon. Philip Shaibu, for initiating reforms which spurred the club’s resurgence and eventual return to Nigeria Professional Football League (NPFL), after 11 years. Bendel Insurance gained promotion to the elite league after an excellent outing with three wins at the Nigeria National League (NNL) Super 8 Playoffs, which held in Aba. A cross-section of fans of the club, who spoke with journalists, hailed Governor Obaseki’s clear vision for the club which brought about the impressive outings during the NNL season as well as during the playoffs. “This promotion has been long overdue. Bendel Insurance is one of the first set of clubs to play in the Nigerian topflight division in the 1970s. So, I was wondering where we got it all wrong that the club had to be in relegation for 11 years. 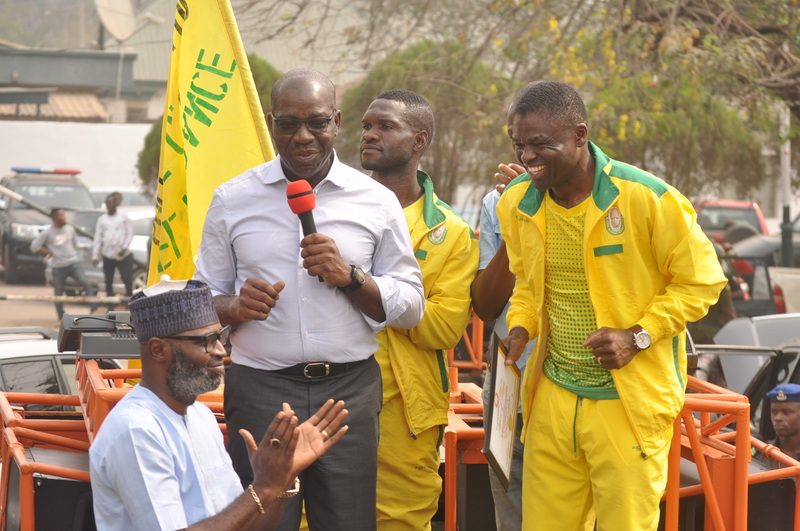 For spearheading the campaign that returned the team to the professional league, Governor Obaseki and his team have done us proud,” Ovbiosa added. Another fan, Mr. Barnabas Efosa, hailed Governor Obaseki for his role in returning the club to its past glory, noting that the impressive performance of the team after its rebranding by the governor, showed that the state government really does have good plans for sports development in the state. He said it would be delightful to watch the team take on opponents in the topflight division at the home ground in Benin City. Peter Odion, a sports analysist said the return of Bendel Insurance to the professional football league will put Edo State back on the spotlight in sports and boost the state’s economy, as it will attract more investors, sponsors and development.